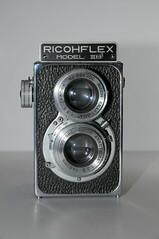 The Ricohflex was a series of 6×6 TLR made by Riken Optical Industries (Ricoh) in the 1950s. 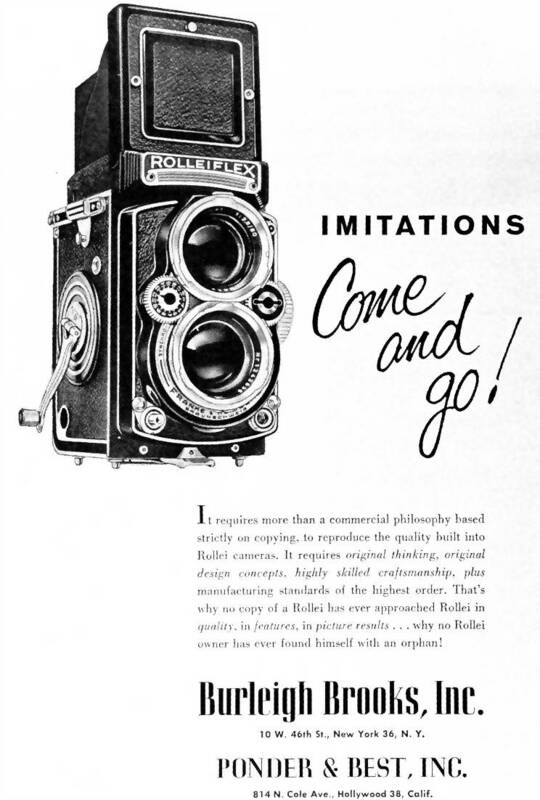 The focusing rings around the taking and viewing lens are geared up for synchronous focusing, just as previous Kodak Reflex I/II. Its coated Anastigmat triplet lens provides great result in its class. 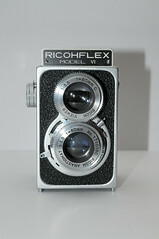 The Ricohflex has a simple, modular-designed and low-cost box structure. The first ones are labelled IIII which was later revised to correct Roman Numeral IV. The VII M model comes with a SEIKOSHA MX shutter with B mode and speeds from 1-1/300 sec. 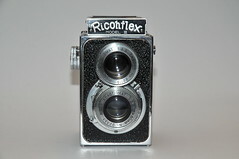 There are at least 3 different versions of the Super Ricoflex, with different shutters and front plate styles. These model were primarily sold to the U.S. market. 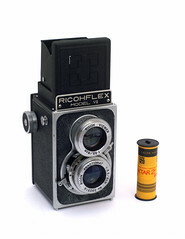 It’s the most sold Ricohflex. The Million has adjustable red windows for either 120 or 127 format (with exchangeable 127 film insert). Additionally it comes with a hot flash socket on the front plate. Hayashi Teruaki (林輝昭). 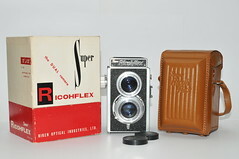 “Sengo no kamera 1: Nigan-refu kamera” (戦後のカメラ1・二眼レフカメラ, Postwar cameras 1: TLR cameras). Kamera Rebyū: Kurashikku Kamera Senka (カメラレビュー クラシックカメラ専科) / Camera Review: All about Historical Cameras no.14, October 1989. No ISBN number. Rikō kamera no subete (リコーカメラのすべて, special issue on Ricoh). Pp.26–32.